Two Leaves & a bud! Two leaves and a bud, as pictured above is all that it takes to make perfect quality tea. Alright, that's a little simplistic I hear you say. Yes, there are many other requirements also required to make quality tea, such as sunshine, rain, soil, altitude, temperature and the type of tea clones used to name but a few. However, tea is a natural drink. There are no other ingredients used in making tea other than the tea itself from the tea bush "Camellia Sinensis"
FitzPatrick & Company founded 1962. FitzPatrick and Company was founded in 1962 by my late father John A. FitzPatrick. At that time John was working with the state run Tea Importers (1958) Limited which sold tea on an equal basis to any member tea company in Ireland. John worked within the shipping department of Tea Importers where he gained a wealth of experience in international shipping regulations. Back in the 1960's there was no palletisation or containerisation. All tea was shipped loose, mostly from India in tea chests,in the hold of large ocean going vessels. When these vessels arrived in Dublin there could be up to 30,000 chests of tea on board and the cargo was manually unloaded using slings. A vessel this size could take up to 7 days to unload all their cargo. Tea Estate North East Assam, India. While John was working in Tea Importers he became aware that some countries in East Africa were now experimenting with and manufacturing tea. This was a new venture and a potentially new supply chain of tea. John decided to go out to East Africa and investigate what was happening. He visited Uganda and saw that they were making some very nice tea there using a new manufacturing method commonly know today as CTC manufacture. John came home armed with an agency agreement to sell Uganda tea in Ireland. The main difference at that time between Indian and African tea was that in Africa, tea was being produced throughout the 12 months of the year while in India they were only producing tea over a five to six month period and the best quality was only produced within a six to eight week period during Middle May to early July each year. Tea is very hydroscopic by nature, what that means is that tea can take on moisture very quickly and easily. The more moisture tea takes on, the poorer the quality of the tea becomes over time. So the longer that tea is stored the poorer the quality becomes. During the 1960's the huge difference that African tea had over it's Indian counterpart was that fresh African tea could be shipped directly into Ireland from Africa year round with a much quicker journey time over its Indian counterpart. This gave tea packing companies the opportunity to purchase fresher tea that they could blend with their older Indian tea therefore giving the consumer a fresher cup of tea. This was also the start of blending different Country of Origin teas leading to unique blends in Ireland. Kenya small holders tea bushes. In 1960's the were over 21 tea packing companies in Dublin, 10 in Cork, 2 in Limerick and a number of others throughout the country. Along with this you also had a few of the larger UK packers with operations in Ireland such as Finlays and Lipton. At that time tea consumption was approximately 11 million kg's (over 22 million lbs) of loose tea. During this time FitzPatrick & Company were slowly increasing their sales of top quality Uganda, Kenyan & Assam (Indian) tea to the many different tea packing companies in Dublin and Cork. What set Fitzpatrick & Company apart from other tea brokers at the time was the excellent quality of tea they were selling to their customers along with superb customer service. 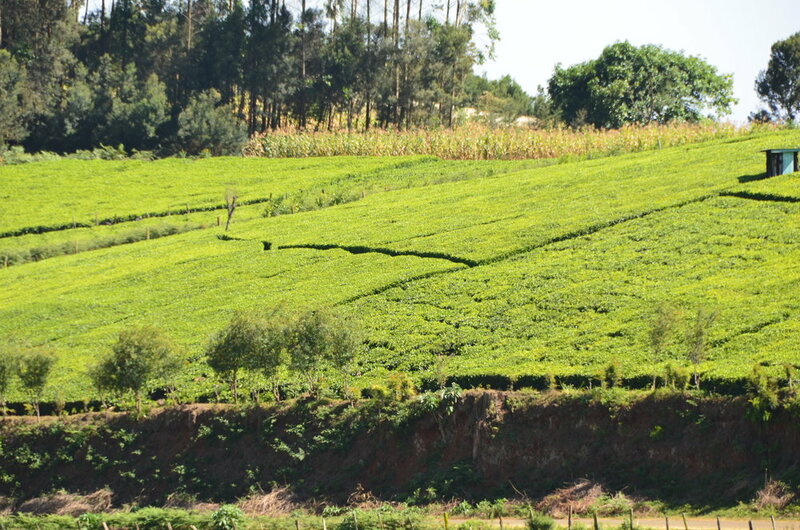 Since the 1960's FitzPatrick & Company have built strong business relationships with the leading quality tea producers in Kenya, Rwanda, India, China & Sri Lanka. Today, over 48 years later the ethos of the company remains the same. Fitzpatrick & Company only sells top quality tea from the best tea producers in the world while providing excellent customer service. 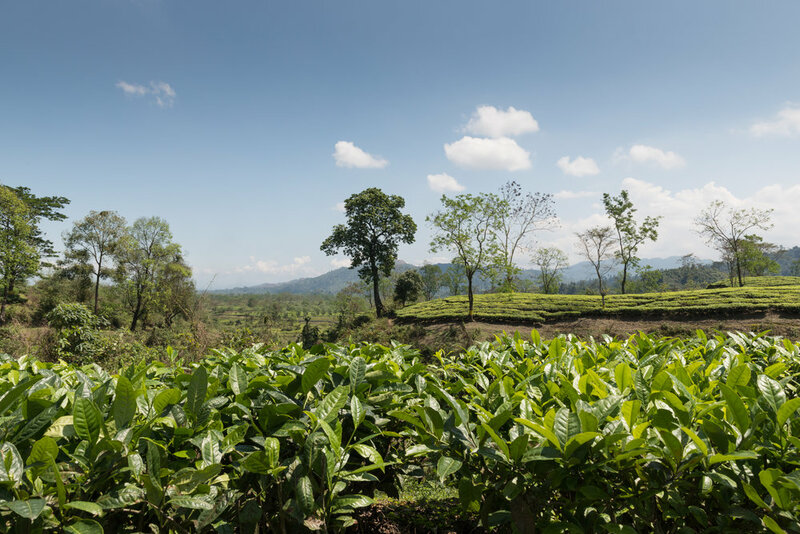 Our suppliers certifications include: ISO 22000, HACCP, Fair Trade, Rain Forest Alliance, SEDEX (Suppliers Ethical Data Exchange) and ETP (Ethical Tea Partnership) while we are a Fair Trade registered supplier within the Fair Trade supply chain. FitzPatrick & Company trading as FitzPatrick Tea Brokers LImited not along supply the Irish Market but all major overseas tea markets offering over 50 years experience and service within the tea industry. Today the Company is run by Managing Director Arthur J. FitzPatrick son of the founder John A. FitzPatrick. Arthur joined FitzPatrick & Company in 1985 and has over 30 years experience in the tea industry.